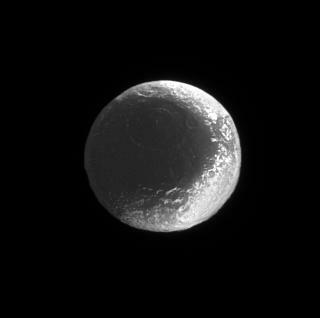 This Cassini spacecraft view shows how the bright and dark regions on Iapetus fit together like the seams of a baseball. Some of the material that covers the moon's dark, leading side spills over into regions on the brighter trailing side, creating the feature near upper right referred to by some scientists as "the Moat." The large impact basin above center in the dark terrain has a diameter of about 550 kilometers (340 miles). 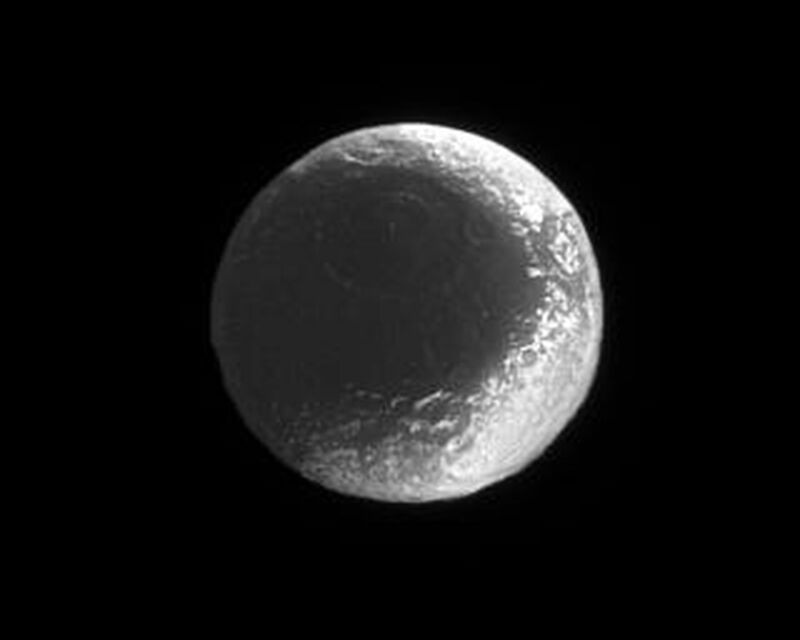 This view looks toward the Saturn-facing hemisphere of Iapetus (1,468 kilometers, or 912 miles across). North is up. 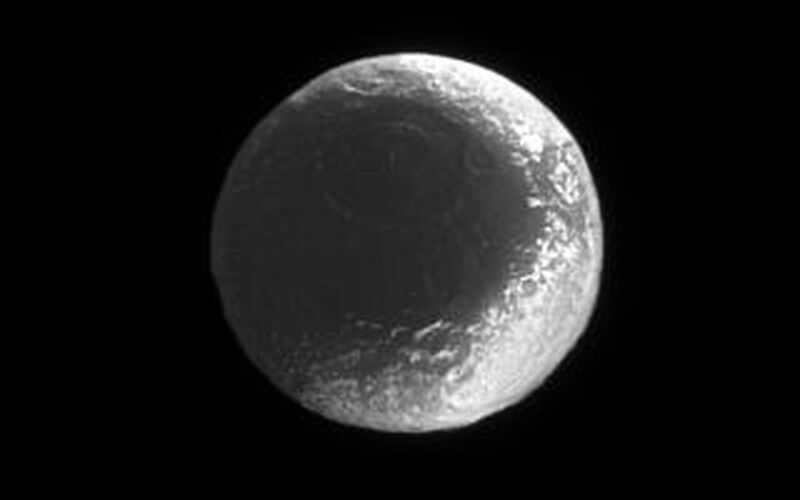 The image was taken in visible light with the Cassini spacecraft narrow-angle camera on June 25, 2006 at a distance of approximately 1.6 million kilometers (1 million miles) from Iapetus. Image scale is 9 kilometers (6 miles) per pixel.